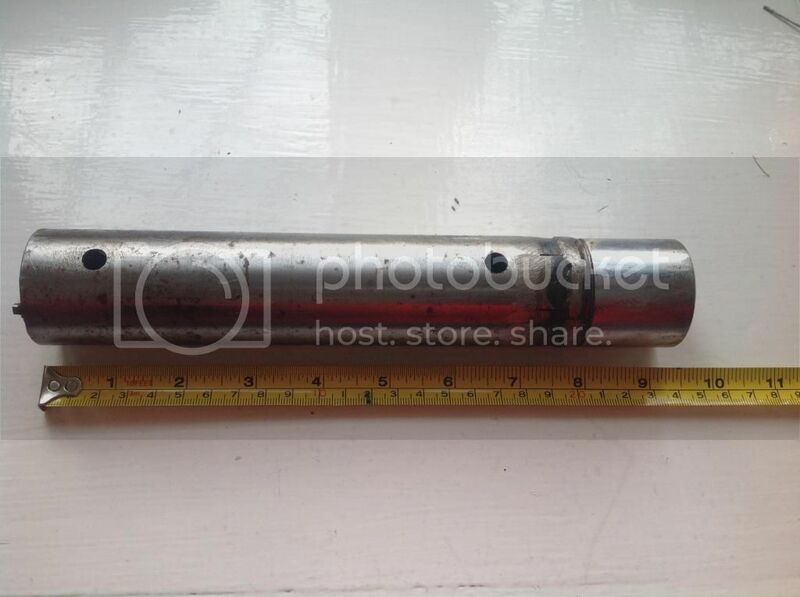 Hi John, the securing nut is 31mm, so you'd need a 32er (1¼") socket. I've never done a body on fork removal, but from what I've experienced with the body off I would assume it's not possible. Not having a 32er socket or fixed jaw spanner I've always used a massive adjustable. The force required is quite incredible, so I locked the forks with a stable wooden beam to counteract the torque. 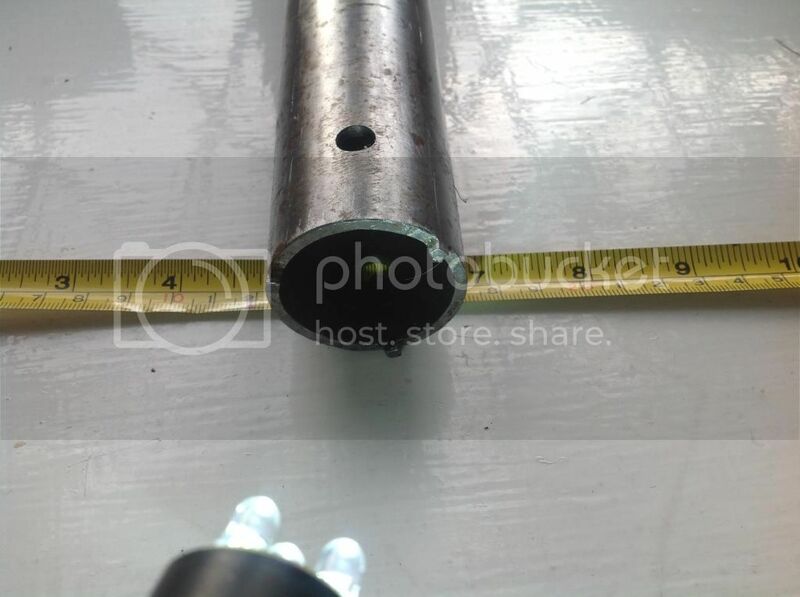 The T bar would have to be so long it wouldn't fit inside the wheel well, with one that would fit I don't think you could produce enough force to loosen the nut. If the fork has been removed in the past the nut might not be so tight as from the factory. Anyway give it a try and good luck. To remove the steering bar just pop it off the ball, a bit of force is required or maybe try with a lever. Av phun. Karl. Hi John, good to see you manged it, also thanks for the photos, I now understand how you were going about it. Untill I saw the photo I was baffled, I thought you were going from underneath. 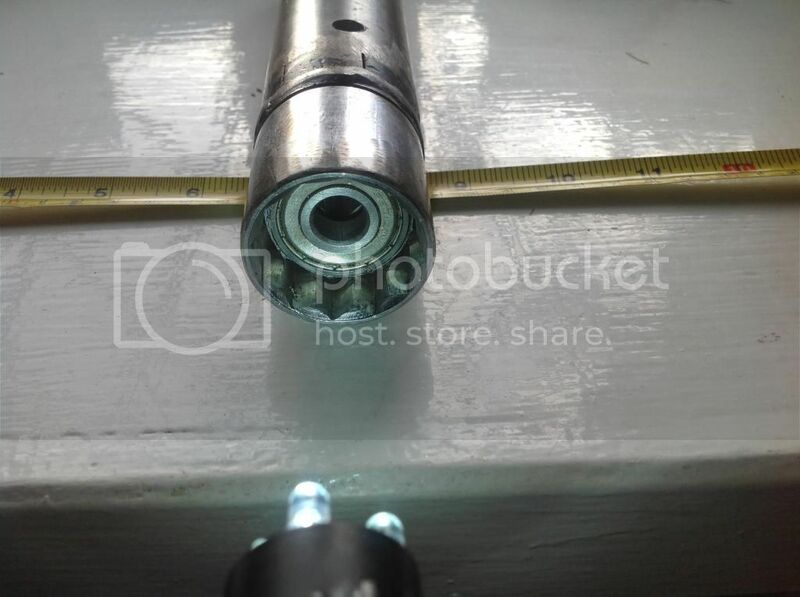 I was also supprised to see a 31mm socket was available, all the sets I've seen they jump from 30mm to 32. Av phun. Karl.